Drive: Multiplier Mayhem is a popular Net Entertainment Video Slot, that enters the world of fast car racing, and plants you – the player – in the driver’s seat as you race against a variety of opponents. Win the race, and you’ll come out victorious (with a healthy cash reward to match), but lose, and be wary of showing your face round those parts again. Drive: Multiplier Mayhem is built using 5 reels and 15 pay lines, and players can choose to spin from as little as 15p a spin, right the way to £75, ensuring there’s a suitable stake range for any player. 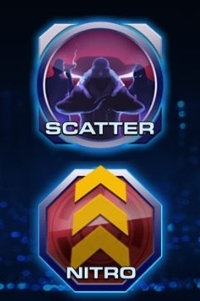 Fully optimized for mobile devices, phone and tablet users can also experience the thrills of Drive: Multiplier Mayhem; a working Internet connection is all that’s required, and simply load the game through your chosen online casino (we recommend our top ones below), and you’ll be able to begin gaming right away. Drive: Multiplier Mayhem uses a unique wild multiplier structure, with a wild’s value increasing dependant on which reel it’s on. For example, a wild on reel one simply acts as a wild – there’s no multiplier – but a wild on reel two makes any winning pay lines worth 2X. Similarly, a wild on reel 3 multiplies wins by 3X, with wilds on reels 4 and 5 making wins worth 4X and 5X respectively. Now if that wasn’t cool enough, the wilds also multiply together. So, if you had a wild on reel two, and a wild on reel four, you’d enjoy an 8X win on any pay line that both wilds contribute towards. Once you land the feature you’ll be awarded with 10 free-spins. Now, on the gameboard, you’ll notice a 9-notch bar on the left-hand-side of the screen, as well as a new symbol on the reels; a red and yellow “Nitro” symbol. 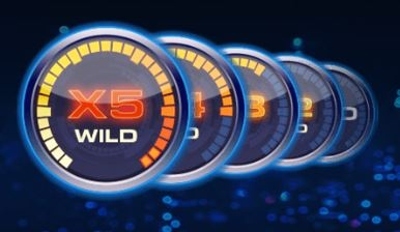 Stage One – 4 additional free-spins, and one overlay wild. Stage Two – 3 additional free-spins, and one overlay wild. Stage Three – 2 additional free-spins, and one overlay wild. 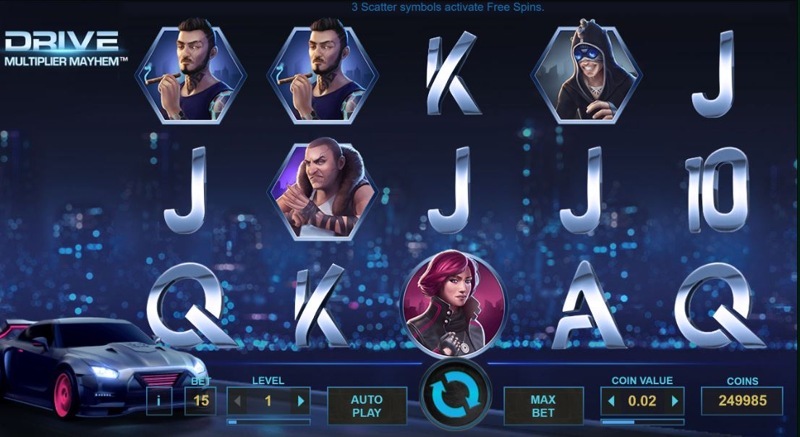 So, as you can see, if you can get to the third stage, you’re going to have your final few spins with three wild symbols on the screen – giving you fantastic chances to make high-paying 4-of-a-kind and 5-of-a-kind wins. The bonus is relatively easy to land, which makes playing all the more enjoyable, and Drive: Multiplier Mayhem is definitely a Net Entertainment game you won’t want to miss.